The sporty and bold 2019 Honda Civic Hatchback is the 4-door ride you've been waiting for! 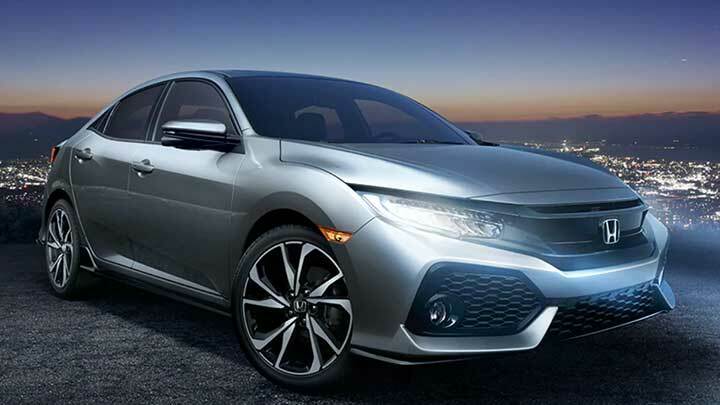 Right now, you can pick one up and experience all the power, fun and tech inside the new Civic Hatchback for yourself by stopping by Route 22 Honda in Hillside, NJ. With its future-ready styling and family-ready safety features, the 2019 Civic Hatchback is a car that refuses to compromise. To get behind the wheel of one today, just reach out and let us know what color you're interested in so we can have it ready when you stop by! There's nothing wrong with turning a few heads as you cruise through Newark, NJ. After all, with the Civic's piano black grille, C-shaped LED taillights and one-touch power moonroof, you're bound to draw a bit of envy from onlookers. But hey, no one said driving a car with this much style would be easy. Once you sit inside the 2019 Honda Civic Hatchback's cockpit, you'll never settle for anything less. It features single-level display instrument panel, available mood lighting and racing inspired sports pedals that will keep you smiling as you stream music through the car's advanced sound system. Looking for some tech you can tell you friends in Elizabeth, NJ about? The Civic Hatchback has you covered. Let them know about the available wireless charging feature, the multi-angle rear view camera and Honda LaneWatch. What is LaneWatch? An integrated safety feature letting you see what's at your flank on a video stream when you signal right.